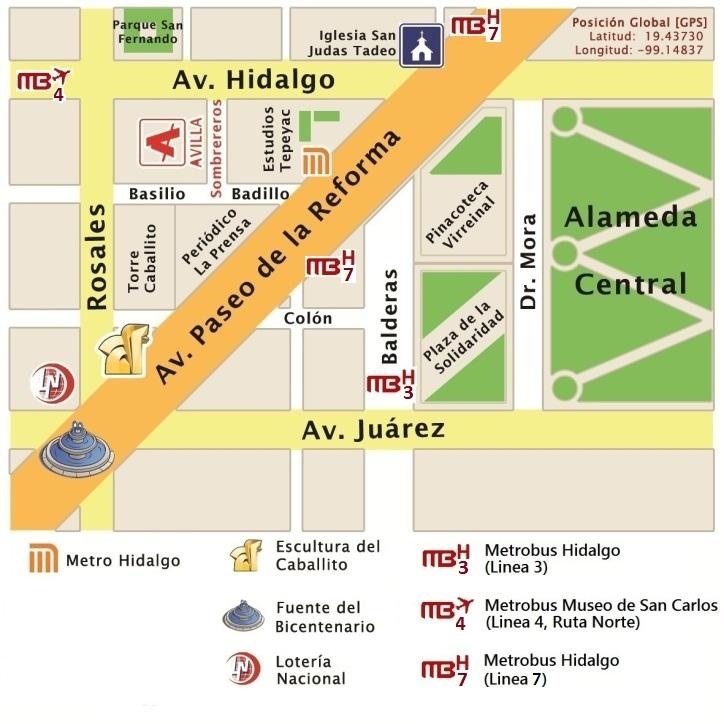 Paseo de la Reforma is one of the main avenues of Mexico City, where you can enjoy walking much of the history of Mexico, its museums, monuments, churches, or see shows in its wonderful theaters. The metrobus Hidalgo station line 3.4, and 7. The metro station Hidalgo line 2 and 3. We have contact with trusted taxis (ask for information).